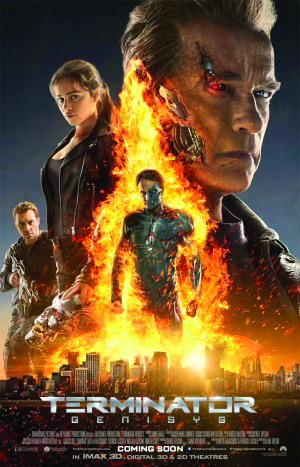 Terminator Genisys is a new science-fiction/action movie and follows 2009s Terminator Salvation as the fifth installment in the 31-year-old franchise. Arnold Schwarzenegger returns yet again to reprise his endlessly iconic role as the title character, alongside the new additions of Emilia Clarke (aka Daenerys Targaryen), Jai Courtney and Jason Clarke (no relation to Emilia). Personally, I think that the previous two movies in this blockbuster series, Rise of the Machines and Salvation, have been major letdowns. However, the 1984 original is a complete sci-fi classic, while its sequel, Terminator 2: Judgement Day is easily in my top five favorite movies of all time and in my opinion, is the best action movie ever made. Having said that, I wasn’t expecting Genisys to be even close to as good as the originals, but I was certainly hoping that it would top the last two movies in the series. Starting off in the year 2029, John Connor (Jason Clarke) leads the Resistance in the war against Skynet. Soon, he decides to send Kyle Reese (Jai Courtney) back in time to the year 1984 in order to prepare his young mother, Sarah Connor (Emilia Clarke) for her future and therefore ensure his own existence…if that makes any sense. However, when Reese arrives, things get even more complicated and a fractured timeline is created, as nothing is as he expected it to be. Now, Kyle Reese and Sarah Connor must team up with “the Guardian” (Arnold Schwarzenegger) to fight off new enemies and protect the future. In all honesty, the plot for this movie is just as confusing as I described it, becoming even more so as the film progresses. That is one of my major issues with the movie, along with all of the miscast characters, particularly Kyle Reese, portrayed by Jai Courtney. He just felt so emotionless, similarly to his performance in the abomination that was A Good Day to Die Hard. Putting my complaints aside, this movie does have a few redeeming qualities, including the exceptional performance by Arnold Schwarzenegger, who played the film’s best character by a landslide. There was also plenty of action to keep the movie going and the action sequences were pretty entertaining. 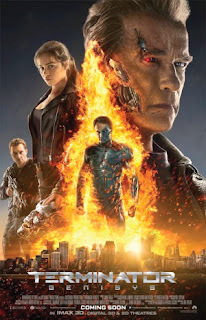 As a huge fan of the originals, I simply can’t say that I was impressed, but if you can put aside a few glaring issues, Terminator Genisys is a solid summer action flick.